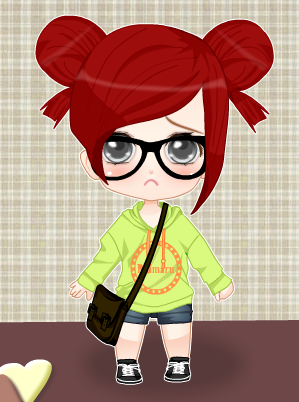 Sad chibi Rene. Rene's all sad cause she Lost her contacts. Wallpaper and background images in the Young Justice OC'S!!! club tagged: oc young justice rene contacts red. Can I have the URL for the chibi maker please??? ?